So you’re a multilingual family, you’re worried about your child’s speech and language development, and a health care professional has told you to focus on one language only. Here are 6 reasons why that advice is wrong. #1 It shows a lack of understanding about how multilingual language development happens a.k.a they don’t know what they’re talking about but it doesn’t stop them giving wrong advice! For multilingual children, language skills are distributed across all of their languages. Their skills vary depending on the task that they’re doing and who they’re talking to. You’re not raising 2 monolingual speakers of each language in the one child. Balance is an illusion. As babies and toddlers and pre-schoolers, your child’s home language may be the dominant one. They’ll have vocabulary to do with home, family, books, television, and play in their home language. Later then when they go to school, they develop school-related vocabulary. They may not have these words in their home language because they don’t use the education language at home. They may tell stories differently in their home language as opposed to telling stories for school. This is normal for multilingual children. So dropping your home language and focusing on the less developed language puts your child at even more of a disadvantage. Why? Because by dropping languages, your child is prevented from using their stronger language to develop the weaker language. #2 Focusing on one language is not a cure for language problems in multilingual children, and it won’t improve things either- quite the opposite! The “dropping a language” approach takes language out of its social context. It forgets that the point of language is to communicate, to connect, to signal identity, to empathise, to entertain, to play, to create, to imagine ……. As Kathryn Kohnert ( a respected researcher in the area) explains: “Language and communication are part of a dynamic system that can be expanded with rich input and diverse opportunities for learning and use”. Monolingual children who have language problems learn language (yes more slowly and maybe not to the same level as their unaffected peers). And multilingual children who have language problems learn their languages at a slower pace and maybe not to the same level as their bilingual peers who don’t have language problems. But they can get to the same level as their monolingual peers who have language problems if given similar language opportunities. There’s evidence to show that bilingual vocabulary treatment with preschool children benefits both the community language as well as the home language. There’s enough research to show that supporting the home language in young bilingual children who have language delay, makes it easier to learn a second language. So working on both languages benefits both languages which is what bilingual children need. By not focusing on the home language in pre-schoolers and instead focusing on the majority language, the language problems could actually be made worse. Because in that scenario, you get rapid erosion of the home language coupled with slow learning of the second language. It’s not fair to expect a child with language problems to learn the second language without being able to use their home language to help them. For most people, two or more languages in their family is the way of their life. When it comes to multilingual children with language problems, Kathryn Kohnert puts it like this: “Should children with varying degrees of physical co-ordination, artistic ability, or aptitude for maths be encouraged to engage in sports, drawing/painting, or algebra? Most people would say Of Course!” You wouldn’t dream of telling a child who wasn’t great at PE to stop trying different physical activities. So why would it be any different when it comes to languages? When it comes to speech and language therapy then, the bottom line is that intervention for multilingual children must explicitly support all languages needed by them. They need their languages in order to access and succeed in the different areas of their lives. This includes family relations, school, their local community, hobbies, etc.. Lifelong goals for academic and job-related achievements along with social, emotional, and communicative well-being are important for all children. Focusing on only one language may mean that intervention is less effective. And it can also have negative knock-on effects on the child’s participation in their community which isn’t justifiable. Dropping a language is a problem because it’s like telling someone who is right handed to stop using their left hand completely. Try doing that for a while and see how you get on! Hope you like the post! Please pass it onto your friend! Kathryn Kohnert (2013). Language disorders in bilingual children and adults. Oxford: Plural Publishing. Pham, Kohnert, & Mann (2011). Addressing clinician–client mismatch: a preliminary intervention study with a bilingual Vietnamese–English pre-schooler. Language, Speech, and Hearing Services in Schools 42:401-422. Elin Thordardottir (2010). Towards evidence-based practice in language intervention for bilingual children. Journal of Communication Disorders 43:523-537. So in your family, you speak two languages or more and you want the same for your children. What’s the best way to do it though? The truth is though that there isn’t one single best way. There isn’t one right way to do it. There’s no one definite way to guarantee your child will become an adult speaking fluently and reading and writing in all the languages. Language development just isn’t like that. By its very nature it’s variable. Why? Because we use different languages for different reasons and topics with different people and that affects language development. Other things that affect language development are the quality of exposure to each of the languages, the amount of quality exposure, the opportunity your child has to use the languages meaningfully, and the status of the languages in the place where you live. 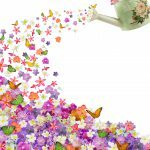 It’s a bit like gardening- you can only control how you prepare the ground, plant the seeds or bulbs, water them, weed and so on. You can’t fully control the quality of the seeds. You definitely can’t control the weather! And you can’t control things like the neighbour’s cat digging your seedlings while doing their poo- which is what I saw this morning on my way to work! Consistent high quality input + opportunities to use the languages really help. #1 Have no plan. This is what my Serbian friend did with her little boy. They didn’t have a plan in advance but followed their instincts. She spoke Serbian with him when he was a baby because that’s what came most naturally to her when bonding with him. Her husband spoke English with him because that was his mother tongue. They lived in Germany so that was the language when they were out and about and in school. So initially they had two home languages and the community language. Then they came to Ireland so the community language switched to English. And they were now a minority language at home family. If she spoke Serbian to him and he responded in English, she didn’t pass any remarks. She just continued in Serbian. They spent summer holidays in Serbia. He’s now 19 and confident in Serbian and English. That’s what worked for them. # 3 Use the OPOL approach. OPOL stands for one person, one language and started out as a description for how some bilingual parents use their languages with their children. The research shows that this isn’t necessarily the best or most effective way to raise multilingual children. There are issues with it. For example it doesn’t support home language development enough. This is because community languages are so pervasive and have higher status that home languages need intensive support to have a chance. It also goes against a natural tendency in multilingual speakers to mix their languages and switch between them. Multilingual adults do this. Some people do it more than others. Some people do it less. But part of language learning for multilingual children is learning how to do it and when it’s okay to do it and when it’s not. There’s research to show that multilingual children work this out very early on- when they’re toddlers. They work out who understands which language and generally tend to be able to match the language to the listener. There’s also research that shows that in school for example they work out that it’s okay to switch and mix languages when chatting to friends but not when talking to the teacher. This is something you can talk about with your partner and come to a decision. And it’s something only you will be able to know for yourselves. My attitude is, if it works for your family, that’s great. If it doesn’t feel right for your family, that’s fine too- your approach has to match your family circumstances and values. If you don’t use OPOL that does not mean your child will lose out when to comes to languages. #5 Time and Place where you choose a time and/or a place where you will speak each language. So you might decide to speak one language at dinner if you have family dinners. Ana Paula Mumy, a bilingual SLP has a lovely activity where you let your child pick the language – you put the flags for the country into a bag and they pick at random and decide for how long or on what topic. Doing it this way does require a lot of focus on your part but if that’s what works for you, then that’s great. You can only do this your own way. #6 Mix it all up is where you use all of your languages with your child; whatever feels right to you at the time. No hard and fast rules here. One downside though is that your child might be more likely to use the community language as time goes on and lose ability in the home language(s). You can keep speaking the home language(s) so that their understanding continues to develop but home languages need more than occasional use in order to thrive. So what works for you and your family? Be sure to leave a comment below. If you like this post, please pass it on to your friends. What I read so you don’t have to! Rosenback, R. (2014). Bringing Up A Bilingual Child. UK: Filament Publishing. Paradis J. & Genesee, F. (2011) Dual Language Development & Disorders: A Handbook on Bilingualism & Second Language Learning (Communication and Language Intervention). USA: Brookes. So my last post was all about screen time. How much is enough? How much is too much? You can read that post here. Realistically, screens are here to stay so let’s look at ways that you can use them to help your child’s language development and to connect more closely through conversations. I know I resisted Peppa Pig for a long time! Couldn’t stand her! Eventually though, I just bit the bullet and started watching together with my little girl. I soon knew all the characters and plot lines. We had great chats about our favourite characters, ones we didn’t like, things that made us laugh, how characters were feeling and so on. Basically, we used the iPad as if it was a book. That’s the key to getting the most out of screen time. Watching together and discussing what’s going on, predicting what you think might happen, talking about clues in the episode title, goodies and baddies- the list is pretty much endless once you get into it. How to get started though? Sit close to together so you can look away from the screen and at each other when you’re talking- just like in the photo. P is for pause and prompt. Stop the video at least once a minute. Prompt your child to say something about the programme. You’ll use CROWD for the prompts. You’re going to vary the prompts. Keep reading to find out what the prompts are. Aim for 1-2 prompts each time you pause the video. Keep your questions fairly simple to start with like what’s that? What’s she doing? And you can make them more complex when you know your child knows the story line inside out after watching a lot! E is for evaluating what your child says (in your mind- not aloud!). This means thinking about what they said and about how you can add something extra. E is for expanding what they say so you add more information or make a longer sentence than they did. R is for repeating- getting your child to repeat their response so you can check that they’ve learned from the conversation. C is for completion: This is where you leave a pause at the end of a sentence for your child to fill in. So let’s say Peppa Pig is coming on and you sing Peppa and wait for your child to fill in Pig. This technique is often used where there’s a rhyme at the end of the sentences. Can you finish this one? Somewhere hidden amongst thorny brambles is……..? O is for open-ended questions that let your child talk about story ideas and use new words that they encounter in the programme. Say things like Tell me what’s happening in this part. W is for Wh- questions like Who, what, where, how, and why? You can ask questions like what do you think Peppa should do? Or why does Mr McGregor hate the rabbits? What do you think will happen next? You can use these at the start of new programmes to help your child focus on details. Using a question like what’s that? can allow you to teach your child new vocabulary. Don’t overdo the what’s that? question though! It can kill the conversation! You can say Oh I wonder what that thing is? D is for distance. This is where you ask your child to relate what they see in the programme to experiences outside of the book. Remember when we went to the pet farm? What animals did we see there? Do you ever jump up and down in muddy puddles? Here’s a quick video showing you what it looks like. Change to educational content like Sesame Street as much as you can & Create unplugged times and spaces like meal times or no devices in the bedroom. Flynn, L. (2011). Developing Children’s Oral Language Skills Through Dialogic Book Reading. Teaching Exceptional Children. 44(2): 8-16. Fraide A. Ganotice Jr., Kevin Downing, Teresa Mak, Barbara Chan & Wai Yip Lee (2017) Enhancing parent-child relationship through dialogic reading, Educational Studies, 43:1, 51-66. Towson, J., Gallagher, P., and Bingham, G. (2016) Dialogic Reading: Language and Pre-literacy Outcomes for Young Children With Disabilities. Journal of Early Intervention 38(4) 230–246. In my last post, you found out about language development in babies born prematurely. (If you haven’t read that post already, you can read it here.) In today’s post, I’m going to share with you 4 ways to significantly improve your premature baby’s language development- in any language. Babies who are born prematurely are at risk for delays in language. The quality of your interaction with your baby is a key factor in their language development and how you do it can have a significantly positive effect on their language development. One study from Montana looked at adult talk in the NICU and how it related to premature baby’s development. They found that the more adults talked and took turns interacting with their preterm infants in the NICU, the higher the babies’ language and cognitive scores were at 7 and 18 month corrected age. How sensitive are you to your baby’s cues and responsiveness? Can you read them right and adjust what you’re doing accordingly? An Australian study from (2017) involving 12 month old babies living with adversity found that the more fluid, balanced, and connected the interactions between mothers and their premature babies were, the stronger the positive effect. Mothers’ verbal imitations of their babies’ noises and movements and the amount of vocalisations the babies made had a positive impact on the total number of words the children produced and the number of different words that they produced in a 5 minute period. 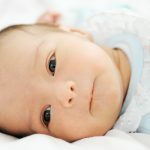 Look at and listen closely to your baby for cues like their level of alertness, and are they looking at you while you are looking at them, do they vocalise to you? When they vocalise, that’s their turn. You can then take a turn by imitating them. Do they respond when you talk to them? Do they touch you? This is where you repeat sounds and words that your baby makes. So if your baby or toddler says ca whilst holding a toy cat. You respond by saying It’s a cat! With lively intonation and interested facial expression. You ask a question that requires a Yes/No answer. Again the question must follow on from something that your baby has just done. So, your baby pushes a toy figure down a slide and you say Is the boy going down the slide? You label a toy or object or action which your baby is either looking at or doing. Make sure that your label is the last word in what you say. So, your child picks up a toy bunny and you say e.g. It’s a bunny. Two blocks to language development. Avoid these when you can! Your baby mouths a toy and you say Don’t eat it! Mouthing is a normal stage of development where babies explore their world using their hands and mouth. Giving lots of commands gets in the way of having conversations that help develop language. One of the best things you can to do to help your baby’s language development is to comment on what they are currently looking at. If you redirect their attention to something they’re not currently looking at then that isn’t helpful for language development. It’s really important to notice what they’re interested in and follow their lead by talking about their focus of interest. (There is some disagreement about this in the research though). Here’s a video I made to help you become a tuned in communicator with your baby and another one on how to sing with your baby. And one final one on being a good language model for your child. Reading together is also an effective way of building your relationship with your child while building their language. You can find 18 ways to use books to build language here. If you like this post, please pass it on to your friends! Smith, Levickis, Eadie, Bretehrton, Conway, & Goldfield (2017). Concurrent associations between maternal behaviours and infant communication within a cohort of women and their infants experiencing adversity. International Journal of Speech-Language Pathology 1-12. White-Traut, R. & colleagues (2018). Relationship between mother-infant mutual dyadic responsiveness & premature infant development as measured by the Bayley III at 6 weeks corrected age. Early Human Development 121: 21-26. White-Traut, R. & colleagues (2013). Mother-infant interaction improves with a developmental intervention for mother-preterm infant dyads. Infant Behaviours and Development 36: 694-706. If you’re a parent of a child born prematurely you might be wondering how that might impact on language development and on becoming multilingual. I did a literature search and have chosen the most recent, good quality research I could find. It’s important to bear in mind that your experience might not fit with these studies and that doesn’t mean that there is a problem. You know your child best and if you’re worried that their speech and language development might be delayed, it’s best to check with a speech & language therapist. 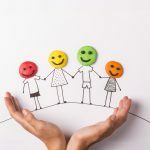 If you’re a multilingual family, I have two posts to help you if you encounter professionals who are not supportive of multilingual development. You can read them here and here. Pre-term generally means being born before 37 weeks (World Health Organisation). Rates are about 10-12% in the US and Africa, about 5-9% in Europe. extremely preterm (less than 23 weeks 5%). The survival rate of extremely preterm babies has increased to about 80% in the last 15 years due to medical and technological advances. And infants born very pre-term (VPT, <32 weeks), with a very low birth weight (VLBW, 1500g), or both make up about 1-2% of all babies born alive. A fair amount of research has looked at the developmental achievements and risks to development of very preterm children from preschool to kindergarten, primary school, and adolescence. However, research findings have been inconsistent. Some studies found no difference between VPT/VLBW groups of children and children born at full term (FT) but other studies report large differences. Why are the findings so different? Basically because each study tends to use different methods which complicates things when trying to come to definite conclusions. The variety makes the research hard to interpret in definite ways. One of the more commonly affected areas of development is language. Language is fundamental to both communication and also for reading and writing and academic achievement. So it’s very important to understand language problems in these children so that they can get the intervention they need on time. One Italian study found that about 1/3rd of very preterm children (average GA of 30 +/- 30 weeks) could be described as having a language impairment at age 3 and ½. The predominant predictor of language impairment was prior history of communicative and linguistic skills as reported at 2 and ½ years. (Sansavini & colleagues 2014- I’ve put the list of articles at the end of the post). But, when it came to language, both groups of children showed a lot of individual variation in language development. The extremely low gestational age children (ELGA) showed consistent language delays relative to full-term (FT) children but their language growth rate over time was not so different from FT children until the 3rd year. The greater individual variance suggests that some ELGA children might persist in their delay, some might gradually recover, and some might fall further behind showing an atypical pattern of development later (Sansavini and colleagues 2014). Another Italian study (Ionio and colleagues 2016) found that at 24 and 36 months of age, preterm infants had significantly lower scores for language understanding and expression than those of full term infants. This was when corrected age and uncorrected age were used to score and interpret the test results. In that particular Finnish study (Stolt et al, 2009- listed at the end of the post), the comprehension vocabulary size of the FT children at 9-15 months were estimated to be 1.7 times larger than the pre-term children (GA 28 +/- 2 weeks). 32 children participated in that study. Expressive vocabulary was similar between the 2 groups from 9-18 months. By 24 months, FT children knew significantly more words than their pre-term peers, suggesting that differences in expressive language between preterm and FT children become evident around the end of the 2nd year. Another Italian study of 104 very preterm Italian children (GA 29 +/- 2 weeks) showed a widening effect as time went on. This means that the more skilled children initially (FT) grow more rapidly over time than the less skilled preterm children. They found this effect for receptive vocabulary and gesture or action production from 12-18 months and in expressive vocabulary from 18-24 months. So the pre-term children showed slower gesture and language development to begin with and the gap widened in the 12-24 months period (Sansavini and colleagues 2011- listed below). At 24 months, 20% of the preterm children were delayed in word production and 14% did not yet combine words. Male gender, a diagnosis of broncho-pulmonary dysplasia and low maternal educational level increased the risk of language delay at 24 months. Stolt and colleagues in another Finnish longitudinal study from 2016, looked at 29 VLBW children and 28 FT children whose language development was followed intensively between the ages of 9 and 24 months. Their language was also tested at age 5 years of age. For the 1st time in VLBW children, the development of gestures measured between the ages of 9 & 15 months was shown to correlate significantly and positively with language development at 5;0. Also, both receptive and expressive language ability measured at 24 months was a clear and significant predictor of language skills at 5;0 in both groups. The findings particularly underline the role of early receptive language (understanding) as a significant predictor for later language ability in VLBW children. The results provide evidence for a continuity between early language development and later language skills. At the end of the 1st year and at the beginning of the 2nd year of life, children typically communicate actively using gestures. And their understanding of words develops actively at this age. Pre-term children have been shown to acquire early gestures at a slower pace than full-term children and the difference between groups of PT and FT has been shown to increase as children grow. Early understanding of vocabulary has been reported to develop more slowly in PT children. BUT there are also studies that do not find a significant difference between groups of preterm and FT in receptive vocabulary. Different studies, different methods. At 24 months, PT children have been shown to have a smaller expressive vocabulary than FT children in different studies. Again, there are opposite findings. At 5 years, children typically master all or nearly all of the speech sounds & the most typical grammatical structures of their native language. Some PT children still have lower language skills at school age. Complex language functions (e.g. 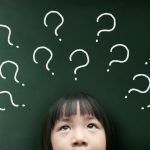 expressing and comprehending complex sentences) in particular are difficult for at least some PT children up to age 12. The proportion of VLBW children with weak language skills varies between 20% & 27% at 5; 0 depending on the method used whereas the respective value is 10% in FT children. What about older children then? One study from the University of Illinois found that in the absence of neurological problems, sophisticated vocabulary and grammar skills may be relatively intact in the conversation of children born prematurely. The 57 children in that study (Mahurin Smith et al 2014 in the list below) were assessed at average ages of 7, 8, and 10 and had been born at less than or equal to 32 weeks gestation of 1500g birth weight. Finally, one paper that reviewed 12 studies of language ability in children who were very pre-term and/or very low birth weight reported that children born prematurely consistently scored at the lower end of the normal range on standardised language tests, with more pronounced differences seen in overall language skills and in particular in semantic abilities than in the grammar – both in terms of understanding and expression. (Barre et al, 2011 in the list). (Semantics has to do with word meaning- basically vocabulary). The findings to do with grammar were ambiguous. It’s important to remember that these studies compare groups of children. So although as a group, children born prematurely are at increased risk of language impairment at school age, within those larger groups, many children do show an encouraging degree of resilience. Early outcomes may have limited predictive power for any one child. So what’s true for the group, may not be true for your child. One clear positive factor is where the child doesn’t have any neurological complications such as haemorrhage. And more studies are needed to fully understand the specific nature of language difficulties that these children have. What about children who speak more than one language? The children in these studies are all monolingual speakers of their respective languages. Unfortunately, research on that topic is very hard to find. But, there is research looking at children who have Down syndrome or autism or specific language impairment for example. This research shows that these children can and do become bilingual and multilingual. If your child needs two languages or more in their world, then that’s what they need. So don’t think it’s not possible for your child if they were premature. Each situation is different and depending on your circumstances, language outcome will differ. But being bring prematurely is no reason to drop a language. There’s good news here! 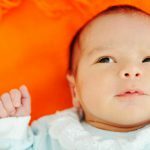 There is research to show that when mothers are tuned into their premature babies’ unique communication signals, can perceive things from their babies’ point of view, can regard their child as a separate person by respecting their activity and avoiding interruptions, that this mind-mindedness as it’s called, plays a stronger role in supporting expressive language abilities than it does in full term babies. (In the Costatini study listed at the end, they found that high maternal mind-mindedness at 14 months had a significant positive impact on their babies’ expressive language development at 24 and 36 months of age.) 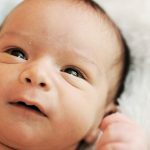 An American study with more participants found that high mutual responsiveness between mothers and their premature babies was associated with significantly better language development and marginally better motor development. You go through a lot when your baby arrives earlier than expected. And how you interact with your baby can be affected by what you’ve gone through and by seeing them in an incubator with tubes. What does it mean to be a responsive communicator with your baby? And what are the things you can say and do that will help your attachment develop and build your baby’s language? I’m going to share those tips with you in my next post so make sure to keep an eye on your inbox. Barre, Morgan, Doyle, Anderson (2011). Language abilities in children who were very preterm and/or very low birth weight: a meta-analysis. The Journal of Paediatrics 158(5): 766-774. Caskey, Stephens, Tuckr, and Vohr (2014). Adult talk in the NICO with pre-term infants and developmental outcomes. Pediatrics 133: 578. Costantini, A., Coppola, G., Fasolo, M., & Cassibba, R. (2017). Preterm birth enhances the contribution of mothers’s mind-mindedness to infants’ expressive language development: a longitudinal investigation. Infant Behaviour & Development 49: 322-329. Ionio, C. & colleagues. (2016) Paths of cognitive and language development in healthy pre-term infants. Infant Behaviour & Development 44: 199-207. Mahurin Smith, Segebart De Thorne, Logan, Channell, & Petrill. (2014). Impact of prematurity on language skills at school age. Journal of Speech, Language, and Hearing Research 57: 901-916. Sanavini, Pentimonti, Justice, Guarini, Savini, Allessandroni, & Faldella. (2014). Language, motor and cognitive development of extremely pre-term infants: modelling individual growth trajectories over the first three years of life. Journal of Communication Disorders 49: 55-68. Sansavini, Guarini, Savni, Broccoli, Justice, Allessandroni, & Faldella. (2011). Longitudinal trajectories of gestural and linguistic abilities in very pre-term infants in the second year of life. Neuropsychologia 49:3677-3688. Stolt, Lind, Matomaki, Haataja, Lapinleimu, & Lehtonen. (2016). Do the early development of gestures and receptive and expressive language predict language skills at 5;0 in prematurely born very low birth weight children? (VLBW). Journal of Communication Disorders 61: 16-28.